1.12.1960: Completed by Fairmile Shipyard (Berwick) Ltd, Berwick-on-Tweed (Yd.No.546) for Bon Accord Fishing Co Ltd, Aberdeen (George Robb, manager) as BON ACCORD. Registered at Aberdeen (A493). 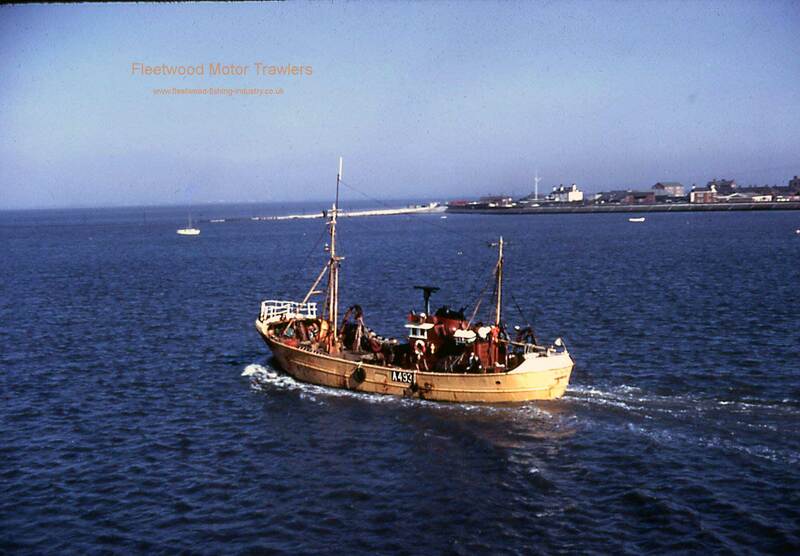 1968: Owner J Marr & Son Ltd Fleetwood. On her first trip under J Marr & Son she grossed £1,184 from 172 kits of fish. 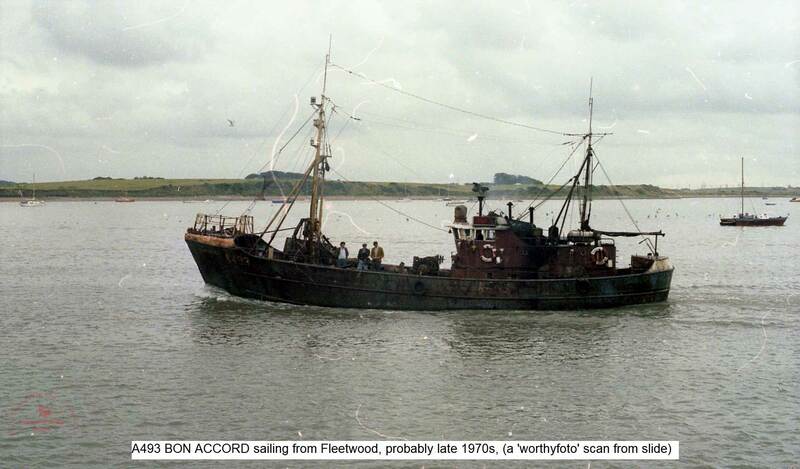 1973: Owners John N. Ward & Son Ltd, Fleetwood. Renamed RESILIENCE (A493). 1980: Owners Ronald C. Sutherland, Latheran Wheel & Donald Sutherland, Dunbeath. Registered at Wick (WK493). 1981: Owners Ronald C. & Donald Sutherland, Caithness. 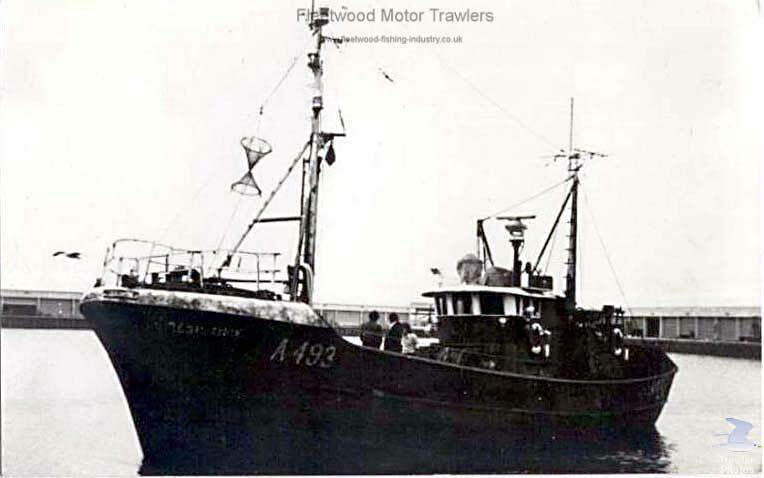 Renamed FRAM (WK493). 1984: Owners William MacDougal, Peterhead & Others. Registered at Peterhead (PD244). 1985: Owners Louis Forbes, Fraserburgh & Others. Renamed ACTIVE (PD244). 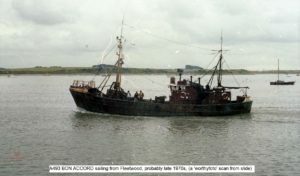 1986: Ceased fishing after a major engine failure in this year. She was the laid up for 2 years in Dunvegan, Isle of Skye for 2 years where all re-useable equipment was removed. However the hull was found to be in a great condition and was sold to a French owner and converted to a yacht. 07/02/2018: Removed FMHT watermark from image and added a picture. 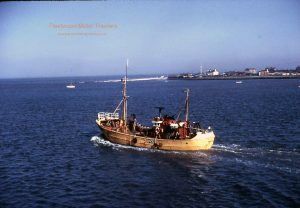 This entry was posted in Marr, Motor Trawler on 22nd October 2016 by Howard Small.